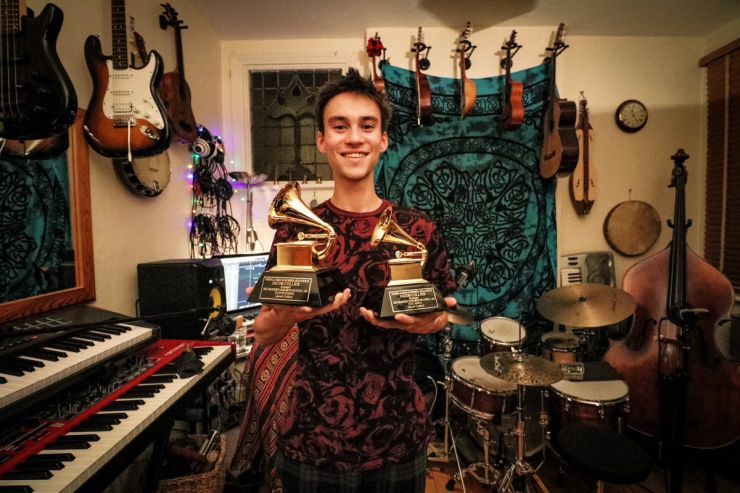 Jacob Collier can’t seem to put a foot wrong. Early on in his career (he’s still only 23) his talents were recognised by Quincy Jones, who became his mentor, and since then he has become friends and performed with the likes of Herbie Hancock and Hans Zimmer, played at the BBC Proms and managed to win a couple of Grammys along the way. His appearance at Love Supreme 2016 showed he is a dynamic performer, an immensely talented and inventive multi-instrumentalist who also clearly loves being on stage. He is following up his 2016 debut album with an ambitious four-volume, 40-song project called ‘Djesse’. Volume 1 was released on 7th December and features The Metropole Orkest (under the direction of Heritage Orchestra’s Jules Buckley), Laura Mvula, vocal groups Take 6 and Voces8 and Moroccan gnawa musician Hamid El Kasri. This is the opening night of his UK tour so it’s the first opportunity to hear his latest globally inspired work performed live. For tickets and further details click here.